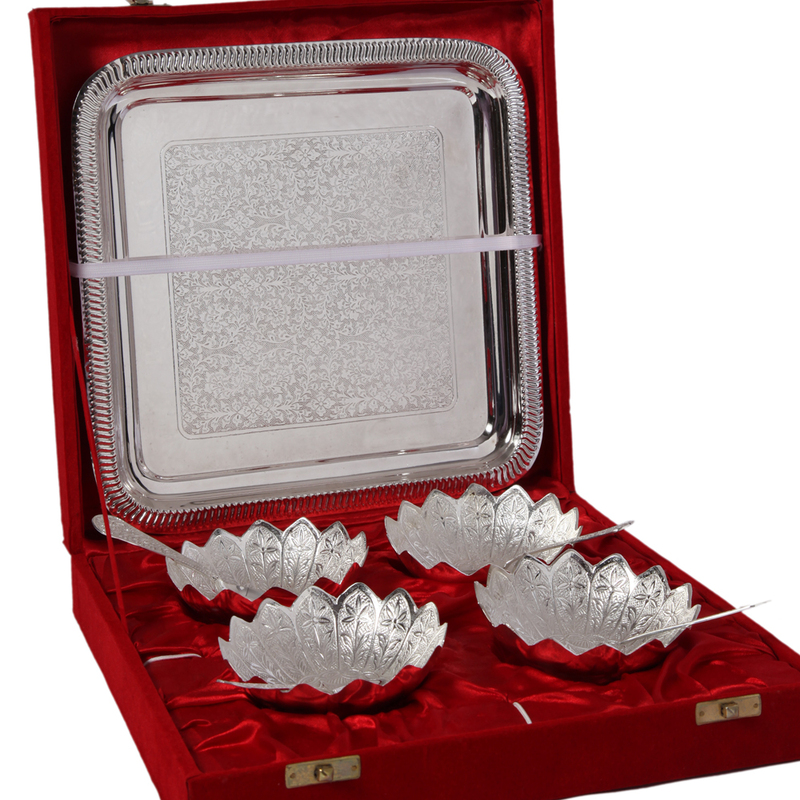 The 4 Lotus Shaped Bowl Set with Spoons & Serving Tray in German Silver is bound to help its owners impress their owners with the Read More..choice of cutlery for serving dessert. The beauty of this set lies in the intricately carved bowls, designed in the shape of a lotus flower in full bloom, while the spoons and the stylish serving tray offering great company. Thus, buyers looking to showcase their refined sense of aesthetics ought to opt for this spectacular cutlery set for serving dessert. Show Less..